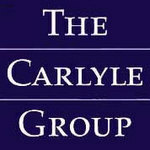 Carlyle group is one of the world's largest and most diversified alternative asset management firms. They manage 114 distinct funds and fund of funds vehicles. Carlyle group have invested these funds across 4 segments and 11 core industries across the 6 continents in the globe. Carlyle's global expansion and reach have enabled them to access opportunities in almost every market around the world. Their asset management ability has arisen from 4 positive attributes – deep industry experience, global scale and presence, extensive network of operating executives, and a wealth of portfolio management data. Their portfolio investments cover a wide spectrum of industries including healthcare, telecommunication (mobile), technology, transportation, and consumer goods. There are currently 0 consumer reviews about Carlyle Group, L P available. Share your review. Please take a note that you are about to post a public review about Carlyle Group, L P corporate office on CorporateOffice.com. This review will be public, so please do not post any of your personal information on this website. If you would like to contact the corporate offices of Carlyle Group, L P, please use their contact information such as their phone number, website, and address listed above to contact them. However, sometimes staff from Carlyle Group, L P headquarters do read the reviews on this website.